Looking for something fun and safe for your teen to do after school? 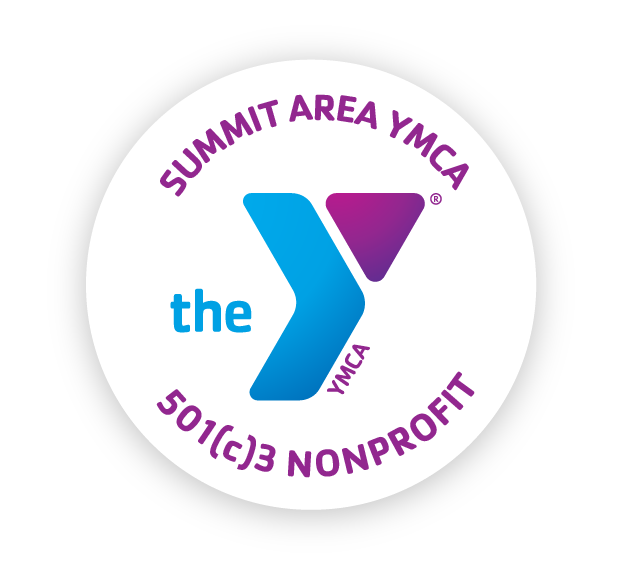 Send them to the Summit Area YMCA! We offer engaging athletic activities, educational enrichment programs, special events, workshops and trips to help teens (grades 6-12) discover, explore and expand their interests and talents outside the classroom. The best part? 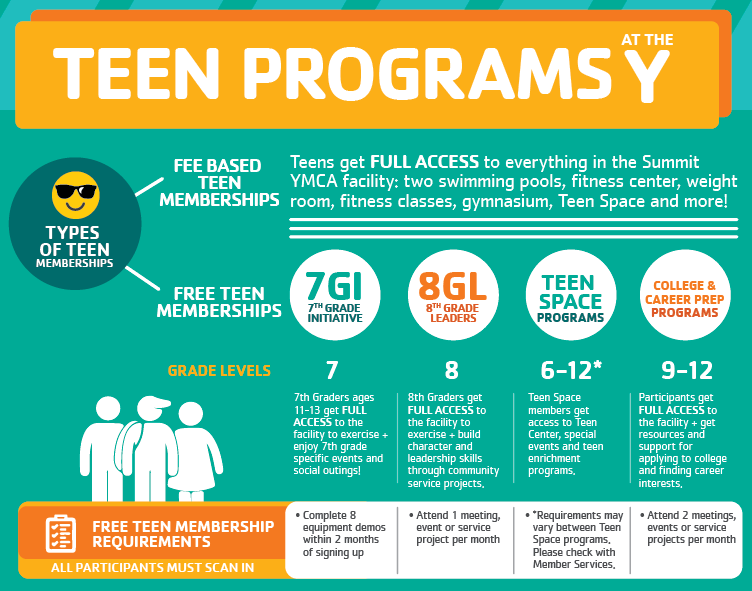 Most of our programs* are offered at little to no cost at all, just fill out a Teen Space Application! (*For athletic programs with associated costs financial aid is available). From Football to Cooking, Homework Help to Yoga, College Prep to Martial Arts, Basketball to Career Development, Video Game Tournaments to Volunteer Assignments, the Y has something for every teen and every interest. Teen Space at the Summit YMCA is a supervised place reserved for teens only, grades 6-12 and is open Monday - Friday from 3:00 PM - 6:00 PM. Teens have access to computers, games, positive role models, new friends, a safe place to be themselves and reoccurring activities include homework help, open gym, themed events, team challenges, weekly activities and more. The Teen Center is free for all teens in our service area, but all participants are required to complete a Teen Space Application in order to participate. Students in 7th & 8th grades also receive access to our fitness center (some limitations apply). To learn more about our 7th & 8th grade membership programs, please click on the appropriate program link above. The Teen Center follows the Summit Public School Calendar. Please check the Y's calendar for additional changes during snow days/early dismissals/holidays. The transitional period between teenager to adulthood can be exciting and sometimes challenging! Whether it be navigating new complicated relationships or figuring out what to do after high school, the Summit Area YMCA takes pride in employing positive role models who are eager to assist and help guide your teen. We inspire them to learn new things, encourage them to get involved in community projects, help prepare them for college and more. The Y is a safe space that welcomes teens of all backgrounds to hang out with their peers, discuss concerns, play video games, get involved in their community, find solutions, learn leadership skills and so much more!